Since boat insurance isn't required (in most states), a lot of people skip it in order to save money. But that’s a very risky idea! 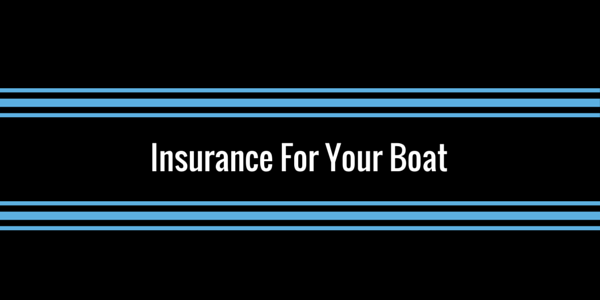 First, without coverage, you’re risking all the money you spent on your boat. Would you drive your expensive car without insurance? Probably not! With the proper insurance coverage, this wouldn't be a problem. You’d be protected! In fact, we typically recommend that clients with a high level of assets purchase extra liability coverage if they own a boat. All in all, purchasing boat owners insurance is a simple way to give yourself a lot of peace of mind. Who wants to worry about insurance when they’re out on the water? Call us at 508-347-9343 today for a free quote on your boat or watercraft. P.S. Our open house is coming up on May 8th at 4:00 p.m. There will be BT's smokehouse, Rapscallion beer, Rob Adams, raffles, and other surprises! I hope to see you all there! 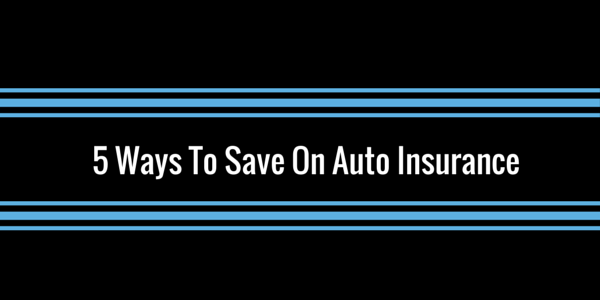 Are you tired of paying too much for auto insurance? No one wants to pay more than they have to! That’s why it’s important to know what savings and discounts are available. Here are a few things to discuss with your agent at your next review. Tickets, accidents, and claims will raise your rates! That’s why it’s important to make sure your motor vehicle report is accurate. Ask your agent if anything showed on your record and make sure that the information is correct. The higher that out-of-pocket amount, the lower your monthly premium! Depending on your individual policy, we may be able to offer various discounts for paying your policy premium in full or putting it on a monthly bank draft. While $3-4 a month might not seem like much, over time it really adds up! Ask us about payment options for your policy and see where you can save. And one of the largest, and most overlooked, savings opportunities is to have multiple polices with one company! If you carry homeowners or renters insurance with a different company, let us quote it! Many times our clients will save several hundred dollars per year just by having their policies in one place. It’s a no-brainer! And remember, getting these savings isn’t difficult. In fact, with one short phone call we can review your policy, look for discount opportunities, and discover your coverage. Give us a call today to get started! Check For Damage - Winter can be really hard on your home. A quick inspection around your property can reveal a lot of home improvement projects! Look for any damage to your roof or outdoor window screens and doors. 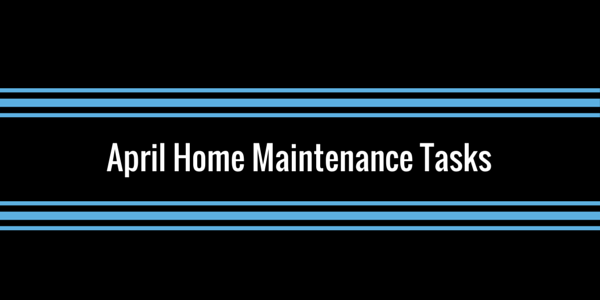 Make note of chipped paint or areas that are in need of general maintenance. Decide what you can do yourself and what will require a professional. Spring Clean - Now it’s time to tackle the inside of your home. Start working on clearing out and donating unused items (Think tax deduction next year!). This could be the perfect time to take inventory of any high value items that need to be documented for your insurance, like guns, artwork, and jewelry. Take photos or make a quick video of those items and store it in a secure (and fire-proof) location. Knowyourstuff.org has a free online home inventory software. Organize Your Tax Documents - You probably just finished your taxes in the past few weeks. Were all of your documents easy to locate? What could make the process even easier next year? Update your filing system or schedule a meeting with Dottie Booth by calling (508) 867-0478 and get prepared now. Car Maintenance - April is Car Care Month. If you've been putting off an oil change or a tune-up, get it scheduled now. Your car will run better and maintain it’s value longer! Spruce Up Your Porch - How does your front porch look these days? Could it use a little extra care? Buy a new welcome mat, plant a pot of flowers, and make sure you can easily read your house numbers. Get Great Homeowners Insurance - The best way to protect your home? Having the right amount of insurance! Let us give you a no-obligation review of your current policy. Call 508-347-9343 to schedule your appointment today. P.S. Your Invited to our Ribbon Cutting! All our wonderful customers are invited to our official ribbon cutting of our brand new office! I hope you’ll join us on May 8th at 4:00 p.m. for the ribbon cutting and the celebration of our 40th year serving our local communities. There will be food, beverages, local celebrities, raffles, and other surprises! Hope to see you there! #1 - A Top Rated Insurance Company You want an insurance company that will be around if you have a claim. Don’t choose a company that you've never heard of with a price that seems too good to be true! If you aren't familiar with the company your agent is recommending, ask for a little more information. Find out what they are rated in your state and how long they've been around. #2 - Choose a LOCAL agency! While all the commercials on TV will tell you to call a 1-800 number for a quote, it’s usually not a great idea. A local agency gives the same great policies (from the same companies!) but allows you to deal with one person on a regular basis. It’s nice to have a local agent who you can go visit when needed. #3 - Choose an agency that offers a variety of policies. Keeping your insurance with one agency makes it MUCH easier when you have a claim. Plus you can qualify for huge multiple policy discounts! Find someone who can take care of all your needs in one local location. #4 - After-Hours Support What if you have storm damage in the middle of the night? Do you want to wait until tomorrow to get assistance? Look for an agency that offers after-hours support! Many local agencies will provide you with 24/7 claim assistance numbers. But make sure to ask for the information and keep it in your cell phone. #5 - Choose an agency that’s EASY to contact! You don’t want to have to chase your agent down every time you need something. Ask if the agency is available by email, text, and phone while doing your shopping. #6 - Do they offer annual reviews? Things change, especially when it comes to insurance! You want an agency that will regularly meet with you to review your coverage and make sure you’re protected. Ask about their review procedures and how they make sure there aren't any gaps in your protection. #7 - Excellent Customer Service When it comes down to it, this is the most important! Choose an agency that wants your business and wants to give you the best possible service! We meet all of the criteria above and would love to work with your family. Give us a call today for a no-obligation quote and insurance review!